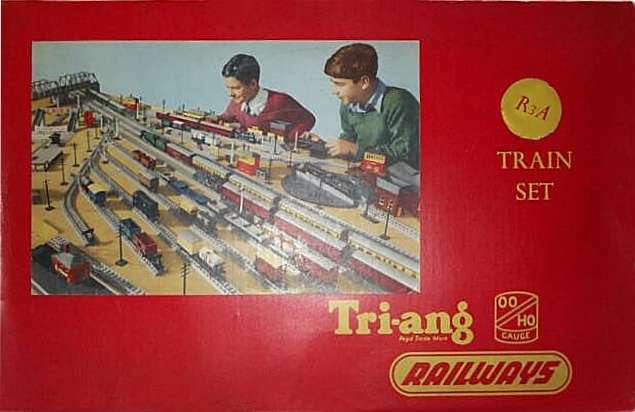 This was my first Tri-ang Railways item. Gratefully received for Christmas 1959. 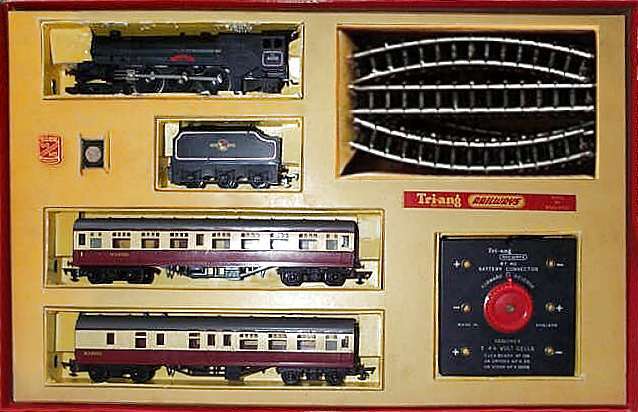 The R3A Set was introduced in 1958 with a Princess Elizabeth locomotive. In 1959 this was replaced with a Princess Victoria Loco as shown. 2 BR 9" coaches R28 and R29. 12 curves, 2 straights and a RT40 battery controller.